Miklos Hendricks placed 48th to lead the Leopards who placed 16th out of 20 teams at the Division I State Championship Meet. Logan Ison also took 79th and Bobby Ganser 98th for Louisville. Miklos Hendricks finished 37th and Logan Ison took 45th to lead Louisville to a 6th place finish at the DI Youngstown Regional at Boardman High School Saturday. The Leopards have now qualified for state in 3 of the past 4 seasons. Miklos Hendricks finished in 9th to lead the Leopards to a 3rd place finish at the DI GlenOak District Meet Saturday. Bobby Ganser also placed 13th and Logan Ison 14th to help Louisville qualify for Regionals. Bobby Ganser placed 6th and Miklos Hendricks took 8th as Louisville finished 2nd as a team at the Legends XC Meet at Trumbull County Fairgrounds Saturday. Colby Adams also took 11th and Logan Ison came in 13th. View Full Results for the Boys 2018 Stark County Cross Country Championship Meet from GlenOak High School. Team and Individual Results for Varsity, JV, and Middle School. 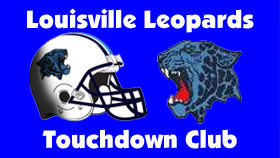 View more now on Leopard Nation! Miklos Hendricks placed 5th and Bobby Ganser took 12th to lead Louisville to a 3rd place finish at the Malone Invitational Saturday at GlenOak High School. Logan Ison also took 37th, Colby Adams 38th, and Sam Chlebeck 51st. Bobby Ganser placed 14th to lead the Louisville Boys to a 4th place finish out of 25 teams at the Galion Festival Race Saturday. Colby Adams also took 25th and Miklos Hendricks finished in 27th for the Leopards. Morgan Cole won the David Ziesmer Jackson Invitational and Cassidy Kiko placed 4th to lead Louisville to a 2nd place finish as a team. Other top Lady Leopards finishers included Kayla Gibson, Nicole Israel, and Emma Patterson.